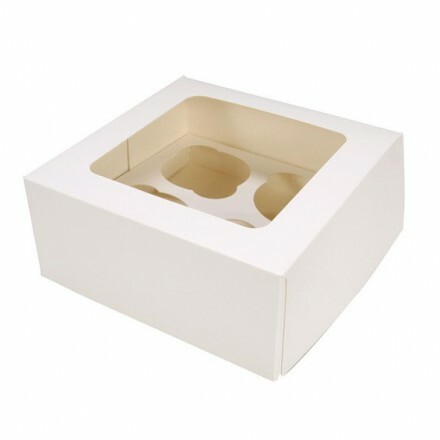 A specially designed boxes to hold 1, 4 or 6 cupcakes securely within the included insert. 4 and 6 Hole boxes are 3" deep with a window lid. Single cupcake boxes are approx 12cm tall and 9cm squared.